We know that Rocksteady – developers behind the Batman: Arkham trilogy – are working on something, but we’ve heard little more than rumors since the release of Arkham VR back in the middle of 2016. Now it seems the studio are ramping up production on their next project, and they’re starting to tease what it may be ever more intensely. Yet more to add to the ever-increasing list of upcoming PC games. Today, the studio posted a photo of their new mocap studio, calling it the “calm before the storm.” Prolific voice actor Troy Baker added fuel to the fire with a resplendent popcorn gif. Baker, of course, has done loads of roles across Batman media in general and the Arkham games in particular. He voiced Robin and Two-Face in Arkham City, the Joker in Arkham Origins, and reprised his Two-Face role and took on Jason Todd in Arkham Knight. He even voiced Batman himself in the Telltale Series. With the popularity of the Arkham games, speculation has been rampant about what their next title will be. Their success with Batman and their access to DC properties through parent company Warner Bros. has led many to suspect it would be another superhero title, perhaps switching focus to a character like Superman or expanding the central roster to encompass the entire Justice League. 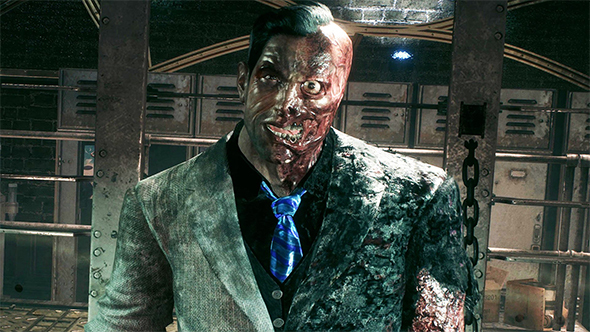 The notable voice of Batman, Kevin Conroy, said last year that Rocksteady isn’t doing Arkham. Throughout January, Rocksteady have been advertising jobs for a wide variety of development positions, including designers, coders, artists, animators, writers, and producers. With the apparent jump in production, we should be hearing more soon – and if I were betting, I’d certainly expect to know by the time E3 2018 rolls around.